Katie Jo is a recognized Shaman and Reiki teacher, business woman, leader, artist and jeweler. Through art comes connection - it all started with a blank canvas and for Katie Jo, that blank canvas has turned into her using any medium and canvas she can. Whether it be drum making, painting drums, making jewelry or helping others paint their lives, Katie Jo’s artistry comes from the heart. From one on one sessions, retreats, courses and workshops - Katie Jo teaches Reiki, Shamanism, sound healing, traditional drum making, personal growth and painting classes. Community plays an integral part as Katie teaches through the Way of the Sage - A series of awakening one’s destiny, life purpose and soul path using methods of Light, Self Reflection and Intention. An International Speaker, Event Organizer and Activist - Katie Jo has spoken at The Parliament of World Religion and the Women’s Economic Forum , along with private retreats, youth centers and high schools. Katie shares the metaphor of the drum - dare to be heard, come from the heart and make a peaceful stand. Katie Jo facilitates drum circles to integrate ancient methods of sound healing, meditation, and energetic balancing on a group level. These sessions are intimate and peaceful as well as joyful and fun. Katie Jo drum circles are held once a month during the summer months and may also be held at retreats, private events and workshops. Through connection comes understanding and healing. Katie Jo is a recognized Shaman and Reiki teacher offering courses, work shops and classes for those intrigued. 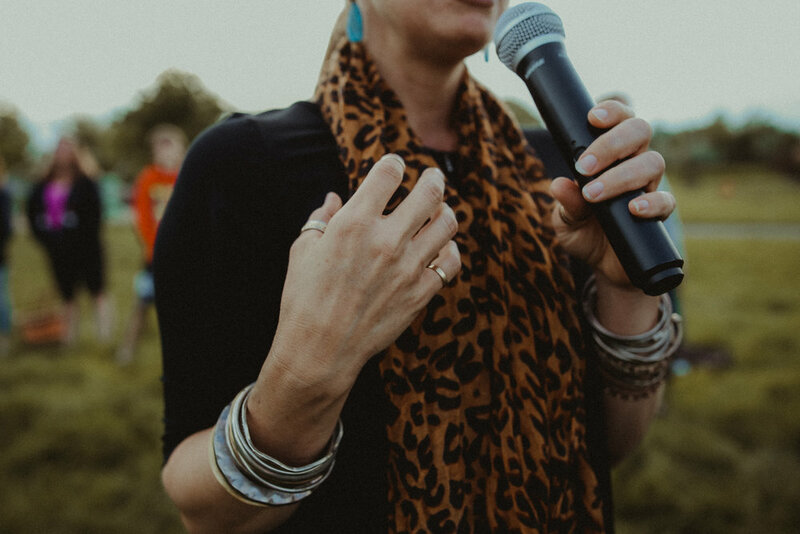 Real change is made through the community and by listening to her communities needs, Katie Jo has done retreats and classes on sound healing, painting, personal growth, energy balance and drum making. 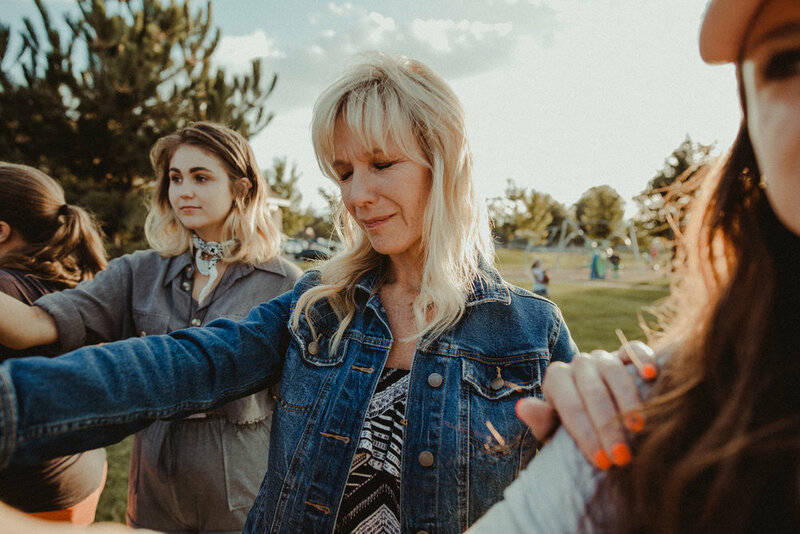 As a Shaman and Reiki Master Teacher, she routinely uses ceremony and guidance through the circle to create a sense of wellness, shift addictive behaviors and transmute heavy energy into Light and Freedom. She teaches the Way of the Sage. A series of awakening one’s destiny, life purpose and soul path using methods of Light, Self Reflection and Intention. A voice for the voiceless - Katie Jo has learned how to speak through past experiences and the experiences of others, for others. Starting with small drum circles, Katie Jo has spoken at The Parliament of World Religion and the Women’s Economic Forum and continues to speak at private events, retreats, youth centers and high schools. As a Speaker, she shares the metaphor of the DRUM; to dare to be heard, to come from the heart and to make a Peaceful Stand. Be an Echo that makes a change for generations beyond this lifetime.